Playing is a integral part of Children’s rights. Together with number of renowned NGOs such as UNICEF and Save the Children, Ikea runs the Let’s Play for Change programme addressing and promoting the importance of play. Ikea’s devotion to children’s rights they teamed with us to make a kids’ game that promotes creativity, playfulness and team-spirit. 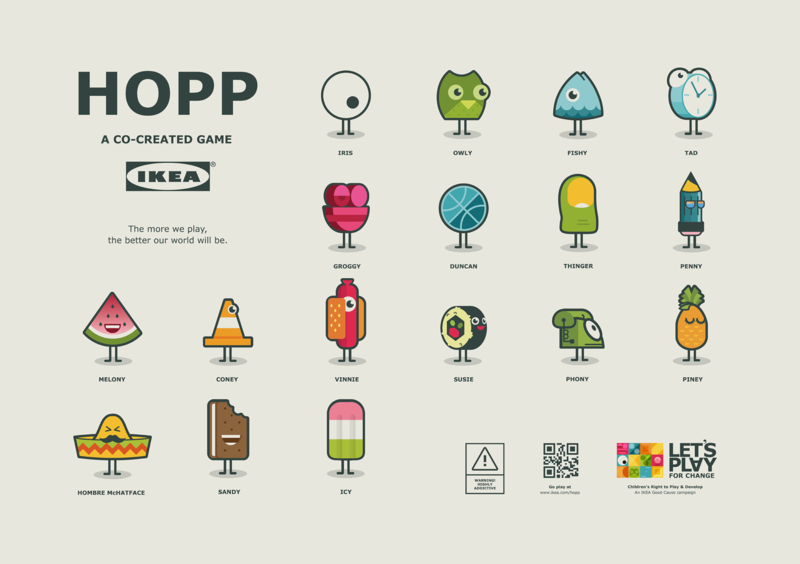 The result was HOPP, named in after the Swedish/Ikean word for “hope” and “jump”. In the beginning of gameplay HOPP is quite dull with a black and white colour scheme. The more time a user spend playing, the better and more fun space one create for oneself – and others. 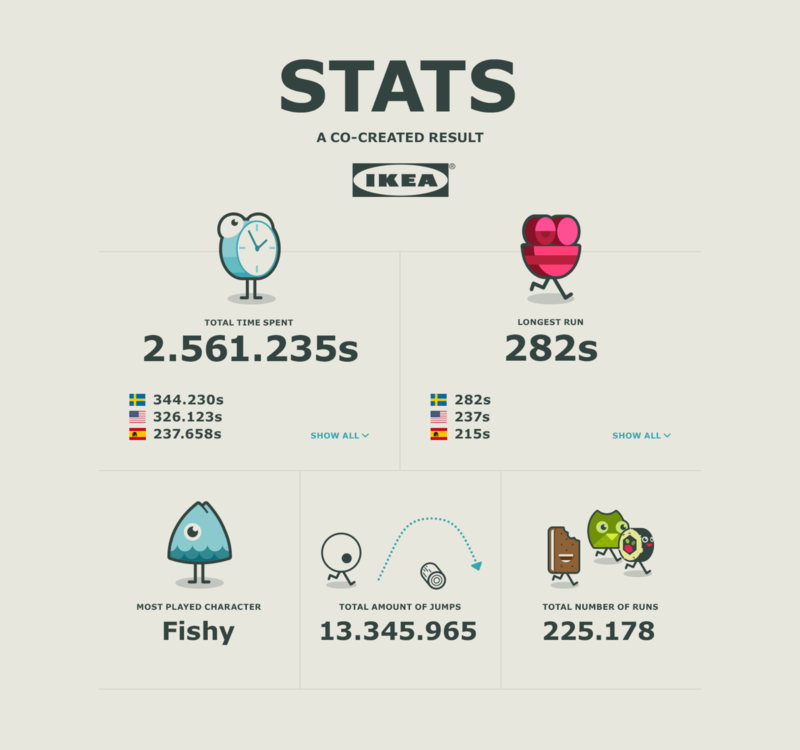 Depending on how much the game is played, more characters, colours and objects are introduced.